Susan loved the Gleneagle Hotel, “We had such a great break there, the staff were wonderful”. The folks at the family-friendly Gleneagle Hotel are constantly thinking up new ways to make even their youngest guests feel welcome. 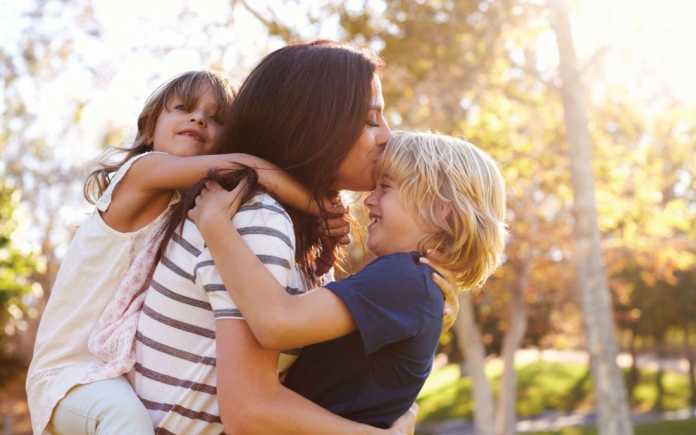 They have created their new Flying Solo breaks, especially for parents holidaying on their own with their kids. 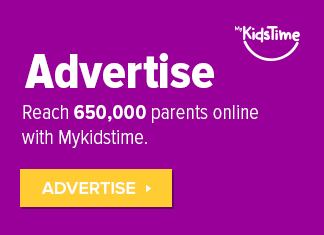 Their Flying Solo packages charge per adult and aren’t based on two adults sharing making them great value for single parents or for parents that have to leave their significant other at home. Their Flying Solo breaks are available across a number of dates throughout the year. 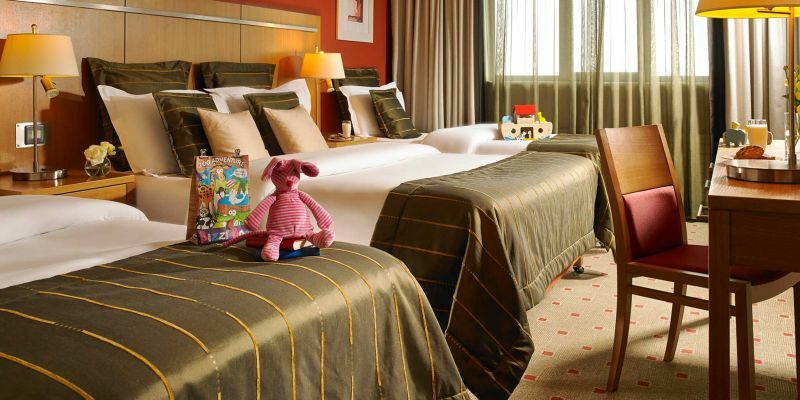 A double room for one adult and one child costs from €85 per night, while rooms with a double and single bed for one adult and two children cost from €100 per night. These rates include breakfast and free nightly entertainment as well as free Kids’ Clubs and free nightly kids’ entertainment during the school holidays. The Gleneagle features all the leisure facilities you could possibly wish for – a 25m swimming pool, kiddies’ pool, gym, squash and tennis courts, pitch and putt, snooker and children’s activity centre. Not to mention the Eager Eagles Kids Club and Chillzone and Kiddies entertainment during the school holidays. And these are just the activities the hotel provides, imagine what 25,000 acres of National Park has in store for you. To book visit www.gleneaglehotel.com. Sinead had one word to describe the Hodson Bay Hotel: “fantastic”. The Hodson Bay Hotel understands being a one-parent family can make holiday planning difficult. But holidays are an important part of family bonding. And that’s why the Hodson Bay Hotel’s reservation team are always on hand to help create a stress free holiday break so all family members get the most out of their breakaways. The Hotel’s award-winning Penguin Kids Camp is jam-packed with energetic games, fun filled activities, and healthy snacks ensuring all little VIPs are kept entertained. 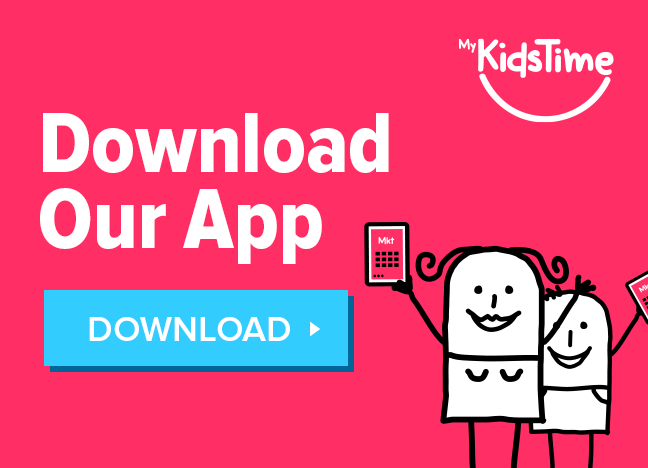 Happy kids means more time for Mum or Dad to chill out. 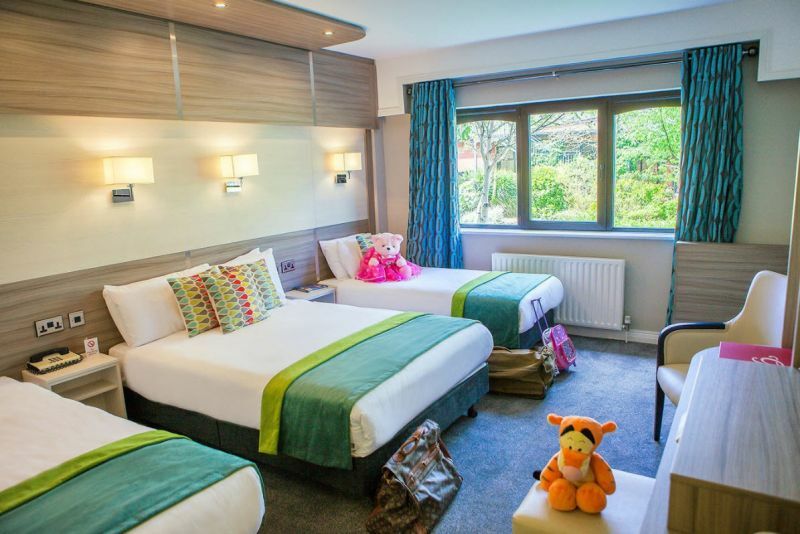 The Midleton Park Hotel family bedrooms are spacious with double beds, they also offer interconnecting rooms for families. 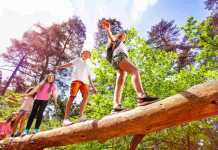 Their Park Bears Kids Club for ages 4+ is open during summer months and school holidays in their Kids Zone, activities include movies, arts & crafts, giant games and board games. 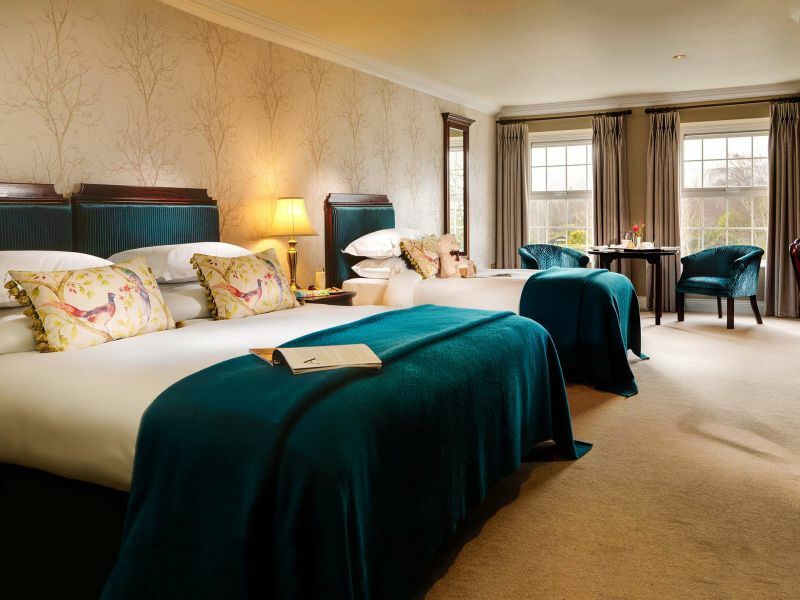 The Whitford House Hotel offer family rooms with two five foot double beds complimented by calming colours in beautiful surroundings, the ultimate relaxation after a long day. 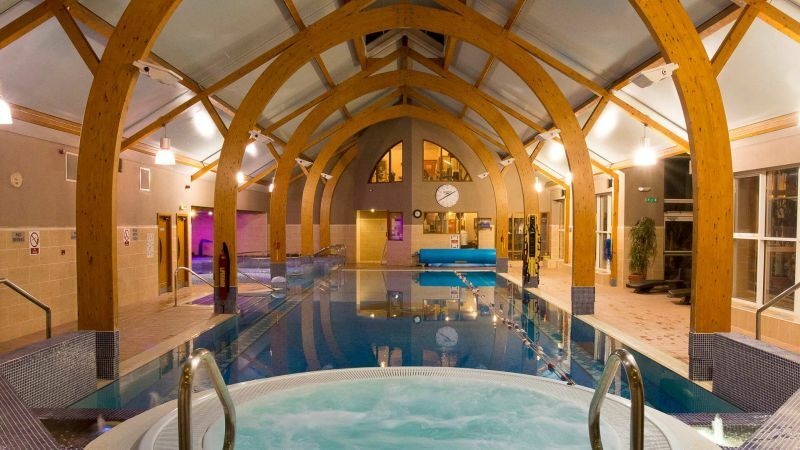 Guests have access to the Leisure Club which includes Spata Gold Medal Award winning 20m swimming pool with separate children’s pool, tranquil hydrotherapy, relaxing Jacuzzi, and a full gym. 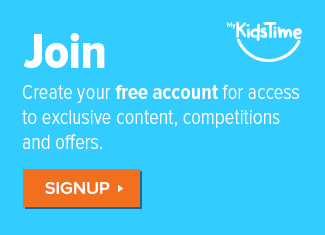 They also have an exciting playground where your kids can escape and have fun. The Amber Springs Hotel won ‘Ireland’s Favourite Family Friendly Stay’ in the Irish Independent Travel Awards 2018. 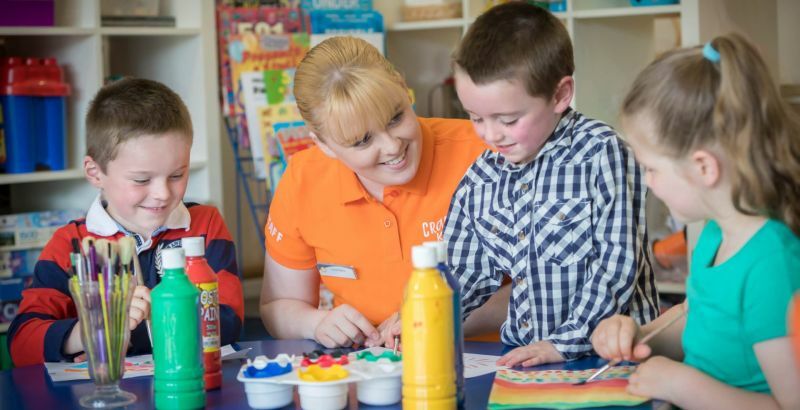 There’s loads of activities for kids to do at the Hotel, including Go Karts, Crazy Golf, Treasure Hunts, Ball Games and Races, Indoor Playzone and more. Nichola stayed with her teenagers at Ballygarry House Hotel and Spa and said “it’s fab”. Spacious family guest rooms at the Ballygarry House Hotel have a King sized Bed, Single Bed and Couch or Fold-Up Bed; room amenities include flat screen TV, complimentary mineral water, elegant bathrooms filled with fluffy white towels and robes and slippers to enhance your stay. 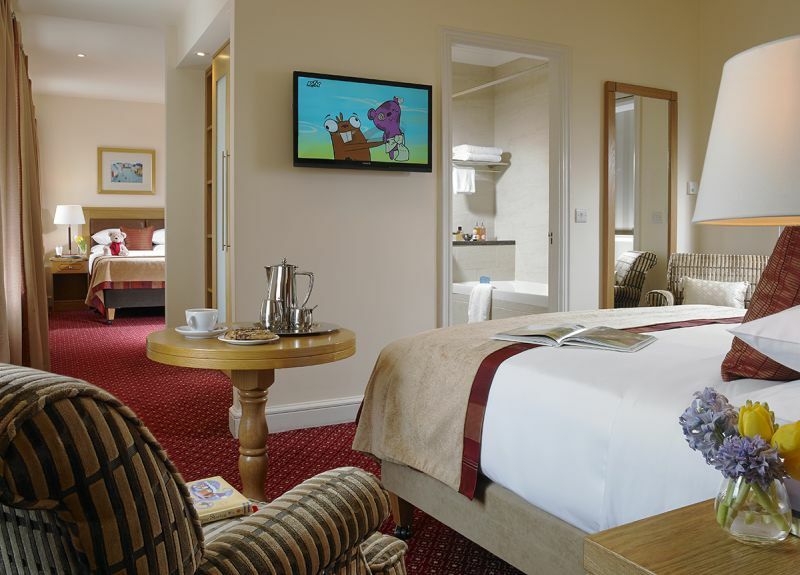 During your stay you can avail of their in-house Xbox or enjoy a selection of family board games or borrow from their extensive list of DVD’s. Family breaks also include passes to the most popular family attractions nearby including The Aquadome and Crazy Cave at Crag Cave. The hotel offers 2, 3 & 4 night family breaks with breakfast to kick-start your day of adventure along with full use of the Club Vitae leisure club which offers an 20m swimming pool, Jacuzzi, sauna, steam room and gym. They have an outdoor playground and indoor play area. If you opt for dinner, then they have a choice of 2 restaurants at the hotel, Gusto Italian Restaurant or choose from Asian dishes at Kudos Bar & Restaurant. At the Maldron Hotel Wexford, families are always made very welcome. They also offer fun activities including outdoor playground, mini golf course, games room (open during summer holidays), leisure centre with separate kids pool, Crafty Kids Club during school holidays and kids entertainment ensuring younger guests are always well looked after and kept entertained from the moment you arrive. Over to you now. 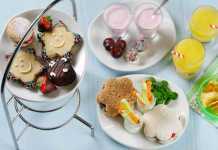 Have you stayed as a lone parent with kids at a hotel that you’d recommend? Tell us in the comments below.